The United States entered World War I with minimal experience in radio intelligence and cryptologic work. 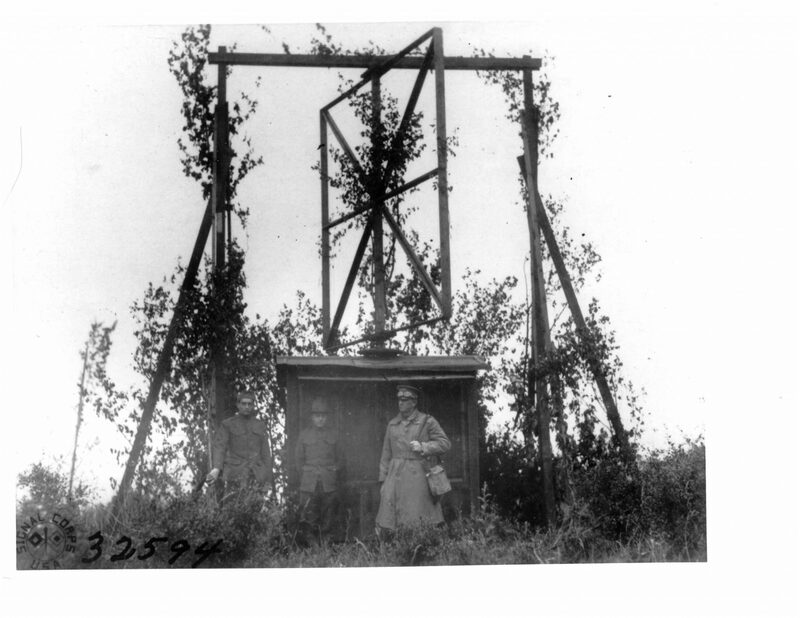 Between mid-1917 and the Armistice in November 1918, the American Expeditionary Forces (AEF) develped a creditable radio intelligence effort, not just by hard work but through substantial contributions of hardware and experience from their British and French allies. By the end of the war more than 500 men were operating a complex, cross-organizational collection, analysis, and reporting effort and they had established operational techniques that would influence the future of American Signals Intelligence (SIGINT). When one contemplates radio intelligence in the AEF, it is the code breakers and cryptanalysts working in the G2’s Radio Intelligence Section (G2A6) at headquarters in Chaumont that receive most of the attention of those writing about intelligence during the war. Little, however, has been said about how the AEF structured signals collection operations and how this collection evolved to support changes in operational posture. Without the men of the Signal Corps’ Radio Section, who operated the signals collection facilities, there would have been no messages to break. Putting this system in place from scratch took tremendous effort, but did the work make any difference to the war? Did the new discipline of radio intelligence effectively support AEF combat operations, and in what ways? 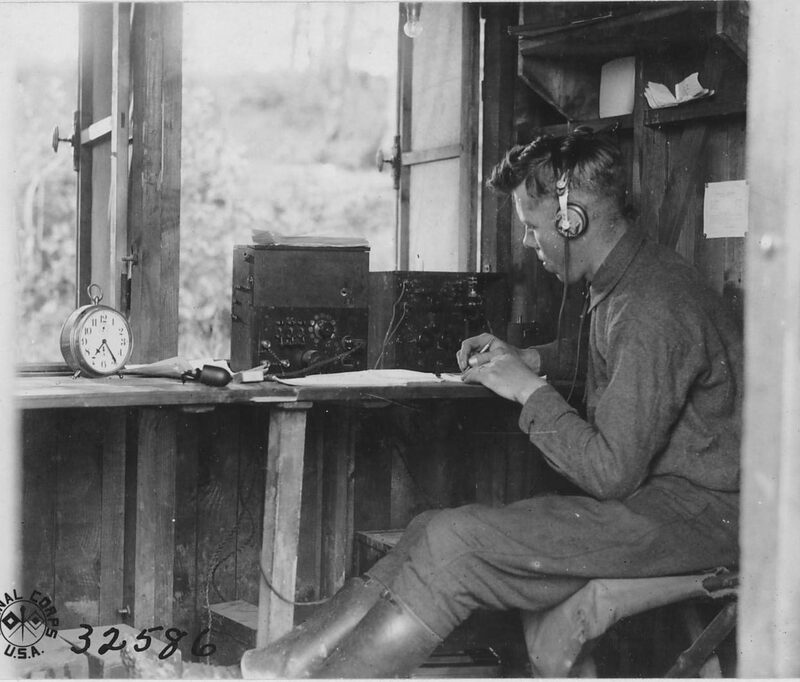 When radio intelligence is written about in accounts of the war, and one rarely hears these stories outside Signal Corps channels or later works, focused on cryptology, there are typically five stories: the March 1918 recovery of the new German code; three stories about intercepted messages (two in April 1918 and one in June 1918); and the claim that direction finding and traffic analysis was the deciding bit of intelligence that convinced AEF commander General John J. Pershing to proceed with the 12 September St. Mihiel offensive. New research reveals additional evidence of effective combat support provided by the radio intelligence effort. Between June and October 1917, a great deal of discussion took place between the Signal Corps and their French and British counterparts. The French provided information on the operation of the radios they used, samples of their equipment, and training for thirteen men. 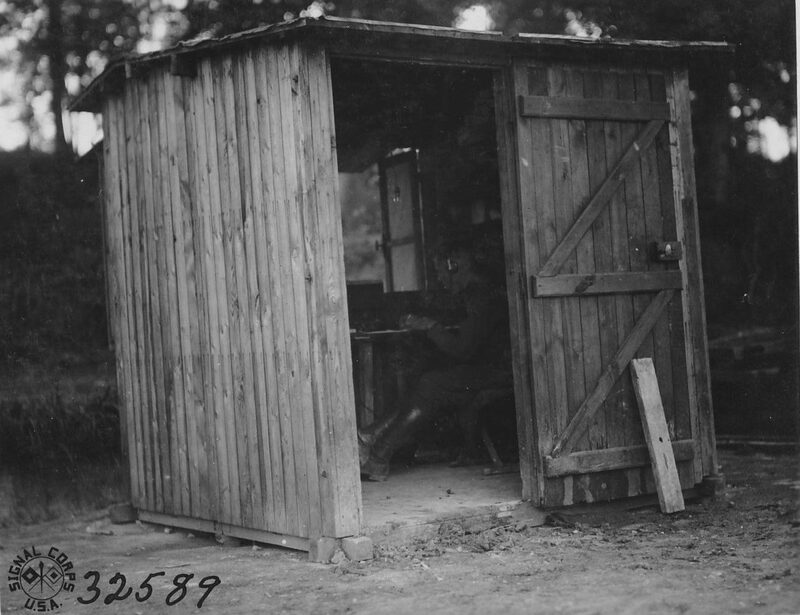 The Signal Corps’ Radio Section was part of the Radio Division, which was responsible for all radio communications within the AEF. The section was first called the Radio Intelligence Section, but its name was changed because it was identical to that selected by the G2A6. Under the command of Captain (later Major) Robert Loghry, the Radio Section established multiple types of collection facilities (not just radio), worked closely with their French colleagues, and built upon French and British work in direction finding (DF, also called goniometry) and traffic analysis. The AEF developed a wide variety of collecting stations and regularly relocated them to better serve combat operations. The AEF also established a test intercept station at their headquarters in Chaumont in September 1917, which intercepted press and government communiqués. 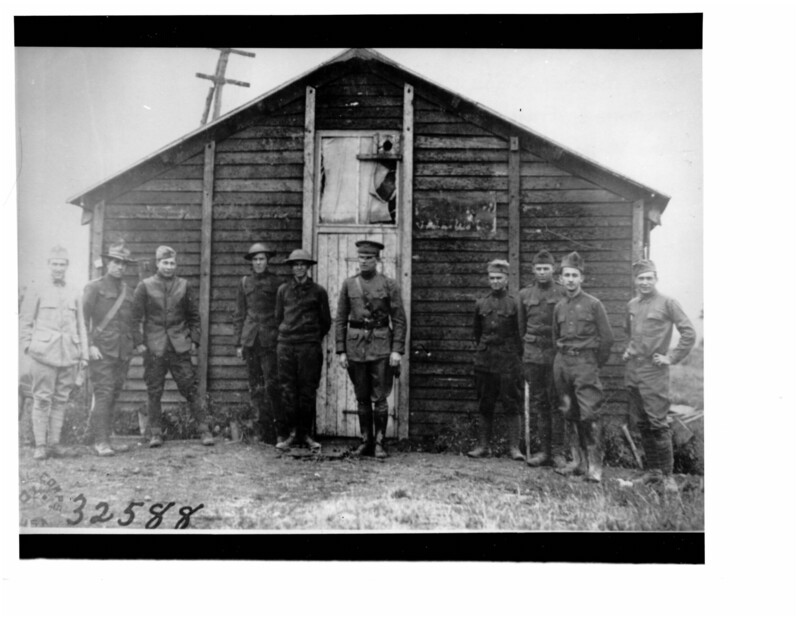 The first full-time radio intercept site was set up in mid-November 1917. 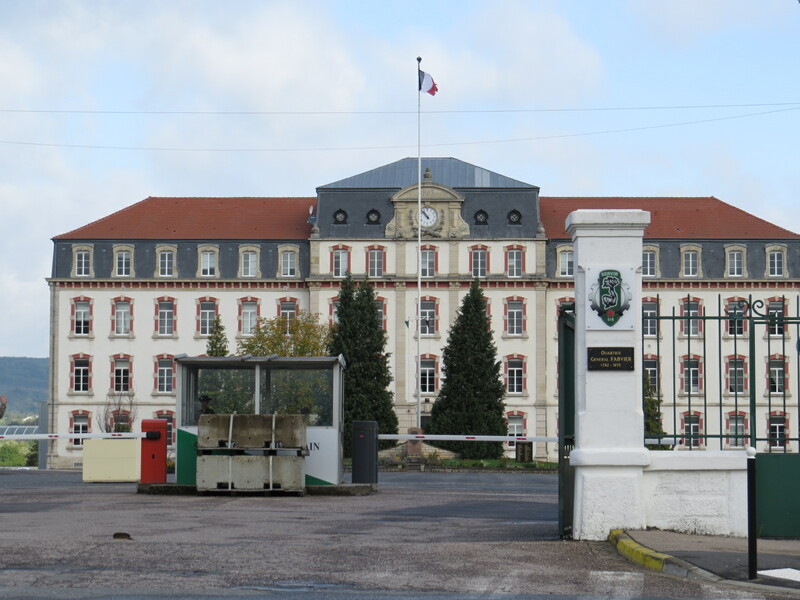 The Radio Section was headquartered at Marceaux Barracks in Toul, well-placed to support collection efforts on both the southern St. Mihiel salient and in the Baccarat sector. The location of intercept and DF stations was determined collaboratively by the AEF and the French Second and Eighth Armies. The Radio Section made distinctions in station type and collection that seem odd today—in those early days of communications intelligence collection, distinctions between different modes of communication and different collection sources were made, and stations were initially set up for each type of communications expected. The AEF established two different sorts of radio intercept sites: airplane, or aero, intercept and field intercept. In July 1918 the Radio Section took over two French aero intercept stations and soon added a third. Aero intercept stations were used for intercepting messages sent by enemy airplanes, and they passed alerts to American and French air pursuit squadrons. The intercept often contained intelligence on areas that were to be shelled and was used to provide warning to Allied troops. It was also possible to determine which batteries were about to fire, and this information enabled immediate counter-battery missions. This technique worked very well in the Toul sector, but in the Verdun sector, it was impossible to maintain the wire connection between the intercept sites and direction finding stations due to constant, intense shell fire. Field intercept stations, also known radio intercept stations, were designed to collect coded intelligence transmitted by radio stations belonging to German ground units. They could be easily disassembled and moved, and they were frequently re-located to provide better support to operations. Stations were often differentiated by the type of signal they collected—short wave, long wave, intermediate wave, or undamped wave, although some stations collected more than one type of signal. There were also stations devoted to collecting press broadcasts. At first, their traffic was forwarded to AEF headquarters in Chaumont by regular French military mail which took two or three days. As the effort advanced, intercepts were forwarded in a timelier manner by telegraph. 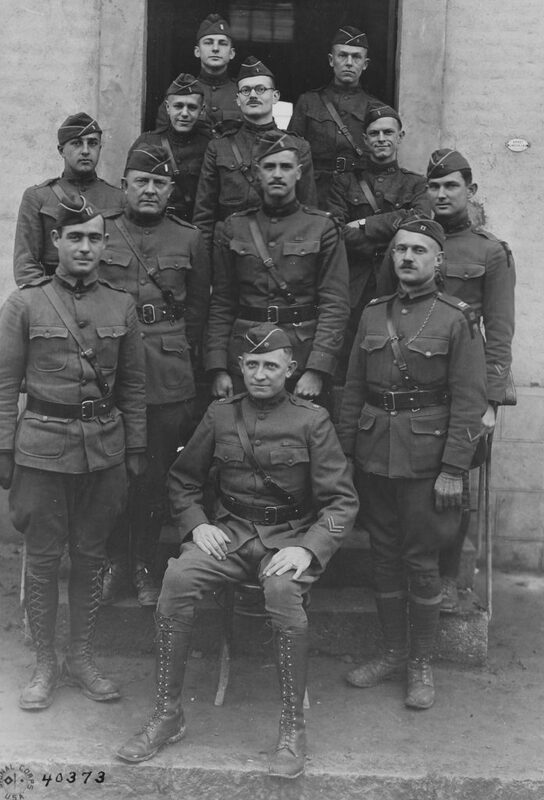 In early 1918, the Radio Section took over two front-line listening stations from the French, and by May, it had forty U.S. operators assigned to French listening stations, usually with two Americans and two or more French soldiers per station. Despite the joint manning, the sites were entirely controlled by French authorities. The AEF would eventually take over many of these French stations when the French moved their operators to other sectors. 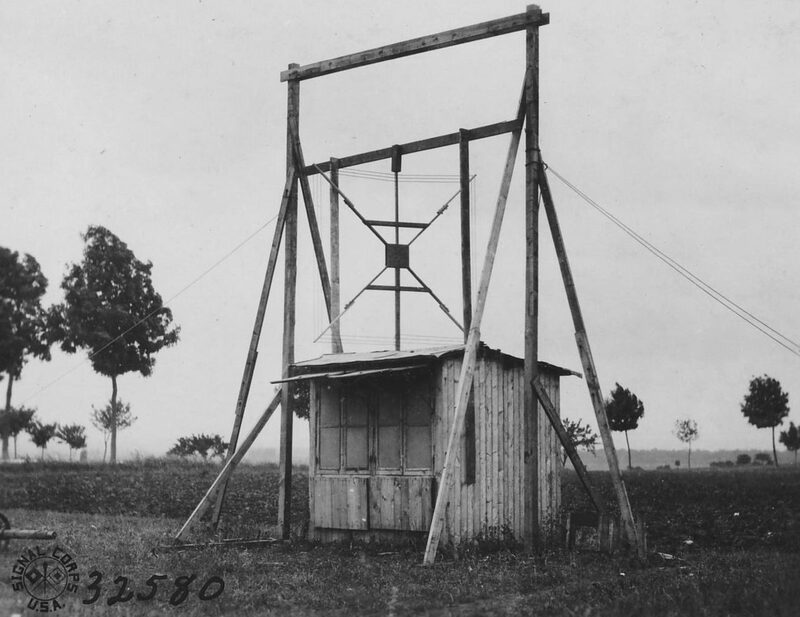 These listening stations, or listening-in stations, which collected both telephone and ground telegraph transmission, are probably the most well-known, most written about, and the most “replete with thrills” of all Great War communications collection jobs because of the stations’ proximity to the front lines. While the primary function of these stations was to intercept both enemy telephone and ground telegraphy, station personnel also policed Allied telephone lines—they inspected the physical condition of the lines but also conducted communications security monitoring by listening for “dangerous” language that might provide intelligence to the enemy. Goniometric (gonio) stations changed the most over the course of the war. Initially there were two sorts of stations: goniometric stations, which conducted direction finding against radio traffic; and, airplane compass, or aero gonio stations, which took bearings on hostile aircraft. From June through August 1918 these stations took more than half a million bearings on enemy aircraft. What began as fixed (but movable) stations—really shacks—would be supplemented in September 1918 by “tractors”— trucks fitted with DF gear to accommodate operations in the war of movement. With the establishment of the U.S. First Army in September 1918 and the move to more mobile operations, the seven aero gonio stations were merged with radio gonio operations and their equipment and personnel assigned to combined air and ground DF efforts at five fixed stations and three mobile stations. Intelligence personnel not only analyzed all DF results (ground and air) on site, but they sent the results sent to a special advance intelligence office established by the G2A6 Radio Intelligence Section near the radio intercept station in Toul. 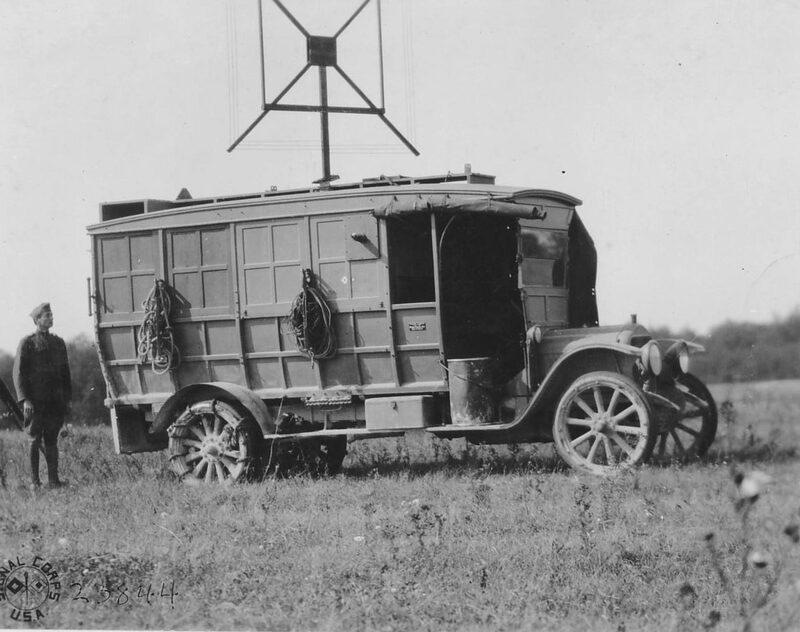 The mobile stations began when three standard Signal Corps radio tractors were equipped with goniometric equipment and deployed. They were first co-located with three of the new aero ground gonio stations. While the intent was to deploy the tractors forward during the St. Mihiel offensive, it was found that only one was needed to move as the American line advanced so quickly. All three tractors were later sent to the Verdun sector to support the Meuse-Argonne offensive. At one point, all tractors were temporarily out of commission with simultaneous problems—one had a faulty magneto, another a broken clutch, and the third a smashed steering gear. Nevertheless, the operators managed to get all three trucks on the road when the order was given to advance. How did the intercept operators and the associated code breakers of the G2A6 do to support the fighting force? They provided Order of Battle information by locating enemy radio stations; grouping these stations into divisional, corps, and army nets (this was sometimes difficult but successful in active conditions.) Their analysis could determine the depth of the enemy echelons and could confirm the presence of troops. They intercepted and decoded messages from radio, ground telegraph, and telephone; intercept sites were connected directly to the analytic office by telegraph. Ground telegraph and telephone intercept was only of limited use during the war of movement but quite useful at other times. They intercepted airplane ranging and located the planes. Messages sent by aircraft were passed to American and French Air pursuit squadrons and often contained details about areas that were to be shelled, which was used to provide warning to troops. Sometimes this intercept indicated which German batteries were about to fire and enabled immediate counter-battery missions. There were other duties which, while important, were not relevant to direct combat support, including communications security monitoring. Did this work positively affect the fight? Months prior to the St. Mihiel offensive, collection facilities were located in key positions along the front in positions ideal for targeting German communications within the salient. All of these sites were positions used by the French for several years; none of them appear to stem from any nascent American thoughts about radio intelligence collection doctrine. The operators spent months documenting the communications in this sector to understand the normal radio procedures and how their opponent’s communications reflected their fighting force. The listening stations, which needed to be within one kilometer of no-man’s land, were strung along the southern side of the St. Mihiel salient from a point outside of Flirey almost to Pont a Mousson. The aero intercept stations DF mobile tractors were placed approximately ten kilometers back and fairly regularly spaced on high or open ground. The radio intercept efforts were concentrated on the west at Souilly and on the south at Toul, which was also the location of the control stations. By 25 August 1918, the work of radio intelligence had caught the attention of the Army Air Service. The Air Service had an interest in decoded German weather reports, and it finally realized the importance of the alerts based on airplane intercept. This prompted a call to install more aero intercept and aero gonio sites along the salient. The First Army Summary of Intelligence for 6 September noted that the volume of telephone conversations were up and ground telegraphy was down; that there was “new work” on telephone lines; and a 4 September conversation contained a “new accent.” Intercept operators commented that the telephone personnel seemed unfamiliar with the sector. Further deviation from the norm was observed on 8 September, when the Radio Section reported unmistakable “signs of nervousness” along the southern side of the salient, with increasing activity (or “chatter” in modern terms) between 8 and 11 September. The German radio station at the observation post on the Butte de Montsec was said to be exceedingly active during this period, and the G2 attributed this to German reporting on U.S. movements. Several of the listening stations, including Limey on 9 September and Flirey on 10 September, noted abnormal conversations and reported that enemy ground telegraphy stations had moved back, which intelligence personnel interpreted as a fear of surprise attack and an indication of echelons in depth. Conditions remained normal on the western side of the salient, and this was interpreted to mean that the Germans expected an attack between St. Mihiel and the Moselle River. Matz also credited the intercepts with success during the offensive, claiming they warned American troops of a German counterattack near the Souleuvre Farm three hours before it occurred. Radio intercepts also identified and located German command posts. Second Lieutenant Frank Ballard, who was in charge of some gonio operations, later wrote that the time of the drive “was advanced because of conditions shown by the Gonio stations to exist…it was claimed that the enemy had evacuated this salient, but the gonios continued to record bearings on the enemy stations in their usual locations in this part of the front.” Drawing on the above, the final report of the Chief Signal Officer states that the final decision to make the attack as originally planned was based on the evidence of the goniometric service that enemy radio stations were still active in their old locations. Pershing’s writings are silent on this matter. In a January 1919 lecture at one of the AEF schools, Colonel Wiley Howell, First Army G2, mentioned that radio intelligence existed, but he did not give it any credit for the decision to proceed on 12 September. He discussed all the material he claimed to have had the night before, such as deserter reports and air reconnaissance, and dramatically recounted “this is the kind of information which, coming under such circumstances, induces heart-failure and premature old age in Chiefs of Intelligence…horrible pictures arose before my mind…but these gloomy pictures were groundless, as later events unravel. The enemy was exactly there where he was supposed to be.” It is not clear why Howell did not mention the role of radio intelligence. The story about the critical role of radio intelligence was repeated in the 1920s. In 1922, William Moore, a former Signal Corp officer in the Army’s Historical Branch, who had become a journalist, wrote a very dramatic article for the American Legion Weekly about the intelligence situation on 11 September 1918. Moore noted that there were prisoner documents talking about plans for withdrawal; the weather had become a problem for observers and aircraft; and on the morning of 11 September there were many unanswered questions. Air observers said the Germans “had cleared out, horse, foot, and artillery.” But at 1600 that day, the First Army radio intelligence summary went to Colonel Howell; the summary noted that up to 1600, the enemy wireless was still operating normally in the salient and remarked that the enemy had never kept complete radio sets in operation as late as one day before a contemplated withdrawal. Howell sent the report to Pershing and Moore stated, “It was enough.” at 0100, Allied artillery began a bombardment of the salient. After the salient was reduced, the listening stations were moved closer to the new front. Again, the intercept and DF took high or open ground slightly back from the front lines. It appeared that many of these location decisions were made jointly with the French. Looking specifically at the mobile gonio effort, it seems unlikely that all the time and effort would have been spent on the gonio trucks (tractors) if there was no expectation of success. The tractors seem to have been a wholly American innovation and their movement was possibly determined by the Radio Section alone; if so, this would be the first time that radio intelligence site locations were not influenced by the French. 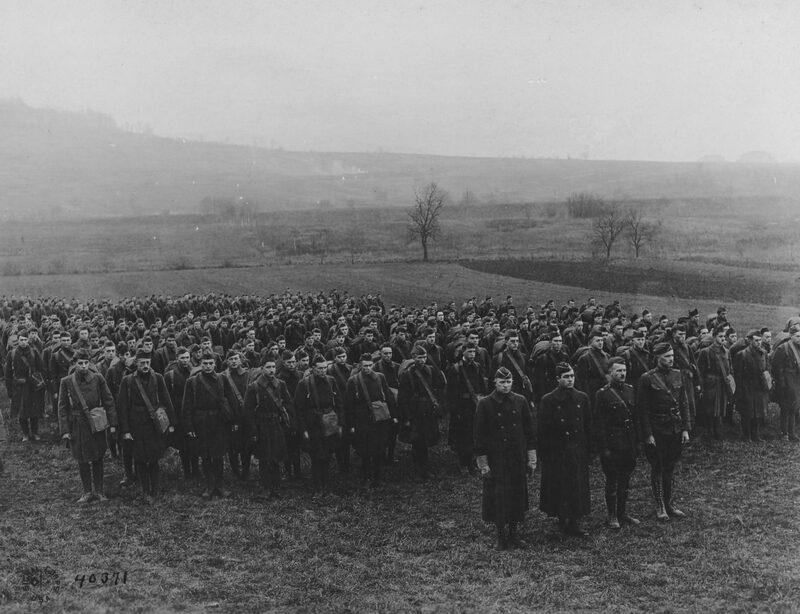 The Germans did not make great use of radio in the initial stage of the Meuse-Argonne campaign, but in the days prior to 26 September, the radio intelligence personnel noted the same “signs of nervousness” that they had seen prior to St. Mihiel. After phase one of the Meuse-Argonne operation, one gonio tractor was moved to the far west of the front while the others remained in Verdun. In early November, as the Allies advanced, the tractors did as well and were placed on high ground in newly gained territory. A G2 memo from late November commented that “the goniometric, like the intercept service has done excellent work. In spite of daily changes in call letters of enemy stations your goniometric stations have made daily locations of nearly all enemy stations. The care and accuracy shown by operators has enabled us to follow the movements of enemy stations with precision and certainty. From such movements it has been possible to get much valuable information, obtainable from no other source in regard to enemy intentions. Official accounts of the radio intelligence effort gave credit to its effectiveness, but this information is rarely seen in accounts after the 1920s, with the exception of those writing specifically about signals intelligence. Few who wrote broader military histories of the war even mention the radio intelligence work, let alone give it any credit for decisions or successful operations. This information seemed to disappear from accounts of the war in the 1930s. Even a 1933 lecture by Major General Dennis Nolan, the AEF G2, placed an emphasis on captured documents during the American offensives, although he acknowledged a few code breaking successes and recounted a July 1917 visit to British and French lines where radio intelligence was said to contribute as much as two-thirds of the enemy identifications. A February 1939 article by a respected war correspondent Thomas M. Johnson, who had written about radio intelligence in the 1920s, attributed Pershing’s decision at St. Mihiel to prisoner interrogation reports. It is possible the stories of radio intelligence vanished from public view in the 1930s due to the chilling effect of the 1933 changes to the Espionage Act in the wake of the publication of Herbert O. Yardley’s code-breaking tell-all, The American Black Chamber. Radio intelligence faced challenges and obstacles in providing direct combat support, and it was often difficult to ensure the intelligence made it to those who needed it in a timely manner. The type of military support provided was not that of the modern day and in no way in the depth provided by signals intelligence in World War II. It was not real time (although three hours is not a bad turnaround time for that era), but it did provide warning and planning information. Continued investigation of the actual intercept and reporting may yield further examples demonstrating the effectiveness of this very new sort of intelligence in World War I.